Town Moor is the home of the world's oldest Classic race, the St Leger, but it is also the venue for the first and last turf fixtures of the flat season. Doncaster's galloping dual-purpose course is mainly known for its packed flat racing programme, but the Great Yorkshire Chase in January remains a highlight on the northern jumping circuit. The main Grandstand is a huge building rather lacking in charm and youth, but Doncaster is a good enough venue for getting around even on its busiest days, which usually happen during the St Leger meeting that spans four days in early September. Flat Course - One of the fairest tracks in the country with its great width and galloping nature. It has both a straight and round mile and a sweeping turn into the home straight. Jump Course - A left-handed, relatively flat track of approximately two miles. There is a slight incline at Rose Hill while conditions often favour horses bestowed with plenty of speed throughout the winter. The racecourse lies alongside the M18 (junctions 3 and 4), one mile from the centre of Doncaster. Free parking is available. To Doncaster. A bus service runs between the station and the racecourse. Many people look forward to a days worth of racing at Doncaster Racecourse, but if you can't get there, you can still enjoy the action by turning on one of the racing channels on SKY TV. You can even relax, sit back, and place your wagers from the comfort of you armchair via the excellent betting exchanges featured below! These betting exchanges allow punters from around the world to place or lay bets on thousands of different races; including all of the races at Doncaster Racecourse! One of our favorite places to bet on the Doncaster Racecourse races is at Paddy Power. They have been around for years and they have a great reputation amongst punters from around the world, which is why we are proud to recommend them to all of our website visitors. Right now, Paddy Power is giving away up to $50 in free bets to all of their new customers, so head over to their website today to take advantage of this great offer while it lasts! Another great place to make your bets on the races at Doncaster Racecourse is at Bet365. They are by far one of the oldest online sportsbook and they are known for offering some of the best odds available online! The thing we like most about Bet365 is that they are currently giving away up to $200 in free bets to all of their new customers, so there has never been a better time to get in on the action at this online sportsbook! 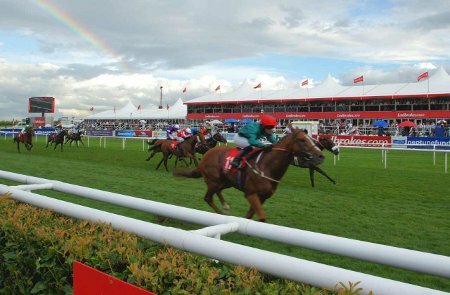 If you’re looking for an online sportsbook where you can place your bets on all of the races at Doncaster Racecourse, you can’t go wrong with the one and only Ladbrokes! They are a leader in the sportsbetting industry, both offline as well as online, which is why we are happy to recommend them to all of our website visitors. At the moment, Ladbrokes is offering all of their new customers up to $50 in free bets, so head over to their website today to take advantage of this great offer! If you’re ready to start betting on the horses online, you can do so today at Bodog; one of the leading online sportsbooks. They have a great reputation amongst punters from around the world and they feature some of the best odds that we’ve come across, which is precisely why we recommend them to all of our website visitors. Check out Bodog today to see a list of all the races that you can bet on; including virtually all of the races at Doncaster Racecourse!